ashlee nicole spills | blog: New Mixtape | AA. 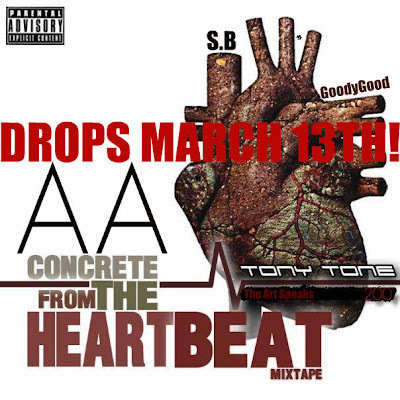 Look out for the new mixtape from AA entitled Concrete From The Heartbeat, dropping this Saturday, 3.13.10. AA will be one of many artists smashing the stage at Soundclash: "Kicks and Snares," Saturday, 3.13.10 @ the Howlin' Wolf. This is gonna be so official!